Whether you're a dog, cat, small animal, bird or reptile person--now everyone earns! PFW Paw Points rewards you for shopping local. Earn points on every item, not just food! See stores for more details. 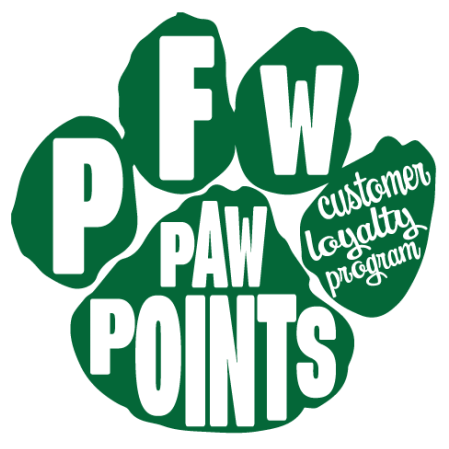 PFW Paw Points cannot be earned on the purchase of gift cards. Pet Food Warehouse, Ltd. reserves the right to change or discontinue this program at any time without notice.